BET BIG - 2X WINNINGS PRIZES! YOU CAN DO IT! Bet big, win big! Randomly drawn winners will have their winnings DOUBLED! Keep the momentum going! A new game has been set up for all players starting on Dec 29, 2018. Congratulations! We had 95 winners out of 128 players, which is a 74% success rate! 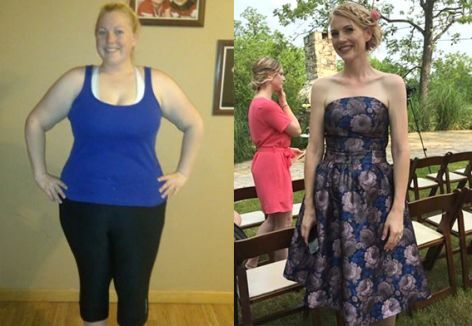 Together we lost a total of 979 pounds! See below for bonus prizes! New games start every week - join now to extend your success! You can play in up to 3 Kickstarter games at a time! Early signup bonuses and DOUBLE WINNINGS prizes in each game!. All bonus winners will receive a message from me shortly via the in-game Messages section with info on how to collect your prize! Several people have the same names in this game but I track by profile ID - the correct winner has the message from me. Please make sure to check and respond to my message so that I can get you your bonus. We heard the feedback! You don't like the video weigh-in process and so for the games below and forward, we're back to the original weigh-in process! Linda H. , TessGail and Tina L. like this comment. I've been playing your Bet Big, Win Big games for about a year now. I've found that the $100 bet is large enough to really motivate me to lose the weight so that I do NOT lose my money - I haven't even bothered with any smaller bets. However, when I went to sign-up for your next DietBet, I was hit with a new requirement for a video weigh-in for high stakes bets. I'm not sure what caused this recent policy change, but I wanted to let you know that I will no longer be participating in your DietBets. I would be absolutely mortified to have a friend or spouse video my weight as I stand on the scale - I'm not going to go there. I don't mind them taking the picture from across the room while I'm on the scale and they can't see the number, but having them walk over and video my number is just invasive and embarrassing. I haven't decided yet if I'll try one of the smaller bets - probably not since I doubt they will be motivational enough. If you can pass on this comment to the powers-that-be, please do - I'm sure there are others like me out there who will consider a video weigh-in an invasion of privacy. Thanks again, it's been fun. Thanks for the feedback TessGail. I certainly understand and I have passed it along to DietBet as it was a policy that they implemented. I'm hopeful that the policy may change in the future but I don't have any information for you at this time. Policy changed! 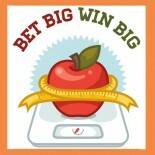 Games from 11/11 and forward will be back to the old photo weigh-in process! Keep the momentum going! A new game has been set up for all players starting on Oct 21, 2017. Your game has now been finalized. Congratulations to the winners! You earned a 7.8% return on your money simply by investing in your own health. Don’t you wish all of your investments paid out at that rate of return? - Most Liked Player: Lorna M.
Brenda R. likes this comment. Sandra , Gee and 4 others like this comment. Sandra , Gee , Jac R. , Danny and Bluejay like this comment. I'm so close! 1lb to go. Sandra , Gee , Jac R. , Megan and Stacy A. like this comment. Fingers crossed!!! You've got this!!! Sandra , Jac R. and 5 others like this comment.